A number of quarries operated in the Granton area at various dates, to exploit the excellent Craigleith sandstone, a hard, light-coloured stone. 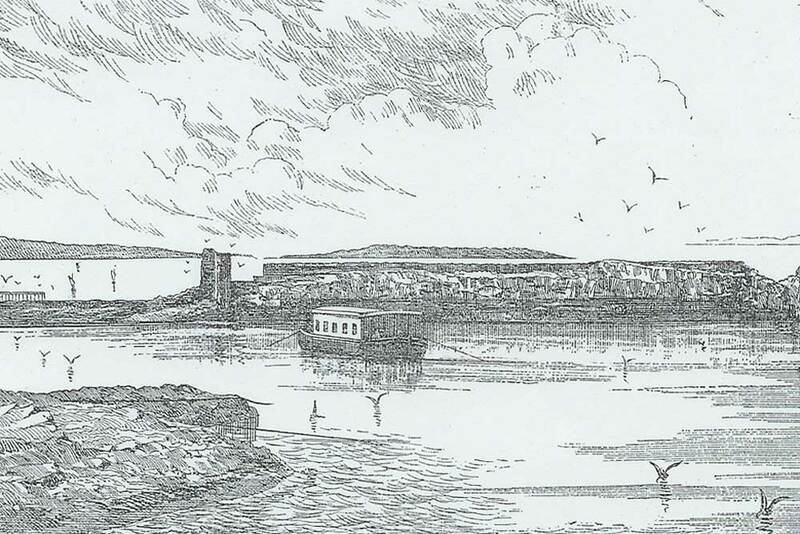 These included a quarry at Granton Point, near where West Shore Road turns inland towards Marine Drive in modern terms. Stone from this quarry was apparently used in the building of Holyrood Palace in 1532. In more recent times, the major quarry to have operated in the area was Granton Quarry (sometimes known as Granton Sea Quarry) which was located to the west of the western breakwater at Granton Harbour, to the south of what is now West Shore Road – see ‘Old quarry’ on this map. 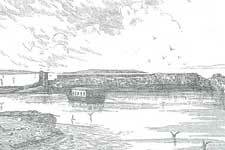 Granton Quarry was opened by the Duke of Buccleuch in 1835. 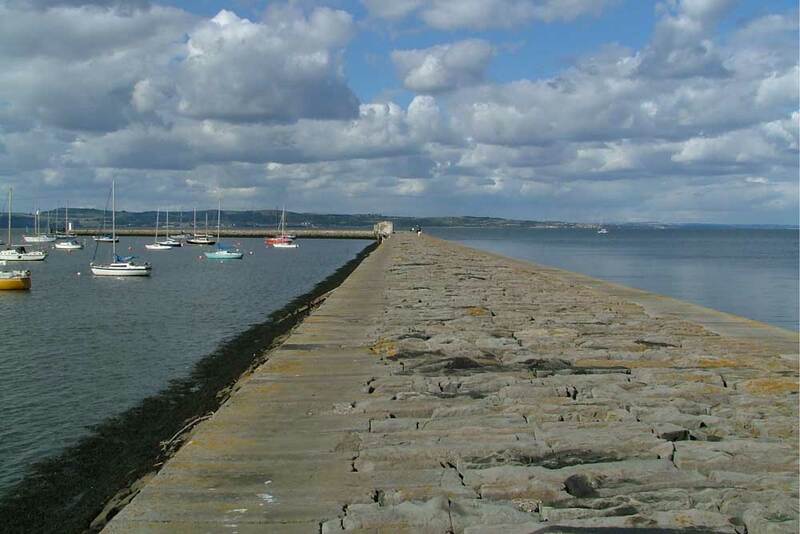 Its initial purpose was to supply stone for building Granton Harbour, and in the days before many railways existed it would be a major advantage to have a source of material on the spot. The quarry was gradually extended until, after it had had been in use for about twenty years, it was nearly 80 feet deep and extended over eight acres. The stone from the quarry was ‘white’ sandstone, actually a pale grey/yellow. 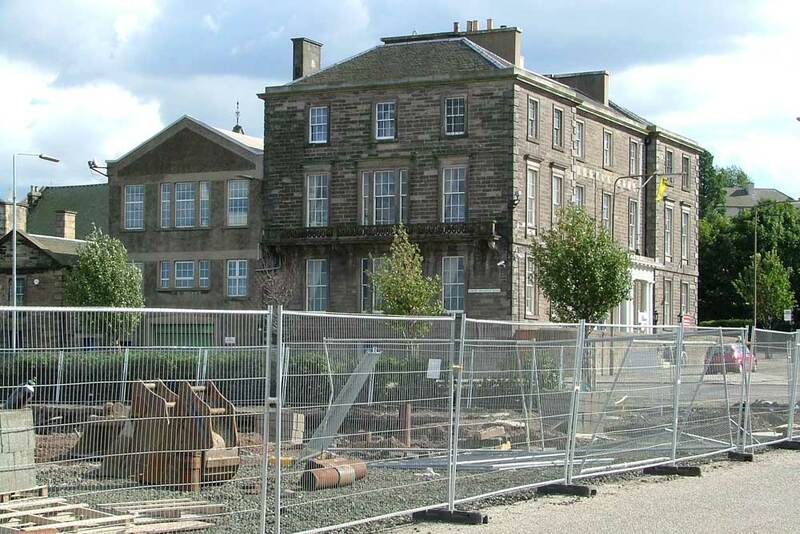 The stone was from the same beds as at Craigleith quarry (now filled in, but near the junction of Queensferry Road and Craigleith Road, and now the site of a shopping complex). Craigleith was in its day the largest quarry in the area, and Granton the second largest. Access was by a sloping plane (ramp) at the east end, with a stationary steam engine to haul wagons up it. The Granton stone was of good quality. In an address in 1892 to the Edinburgh Geological Society a local architect, George Craig (the Leith School Board architect who designed Trinity Academy and other many other buildings), described a range of stones that had been used for building in Edinburgh. He referred to ‘the three Granton quarries’ but this may well be a reference to three different faces of stone being worked. He described the stone as cream coloured with a hard texture, and with good weathering properties, and noted that it had been used for Granton Harbour and for ‘the Watt Statue’ – presumably the statue in front of the former Heriot Watt College in Chambers Street, now relocated at the new campus at Riccarton. As well as for the Harbour, it was used locally for buildings such as the Granton Hotel on Granton Square (later HMS Claverhouse). This building presumably accommodated railway passengers who either wished to stay overnight before crossing the Forth on the train ferry, or perhaps were obliged to do so if the weather was rough. Since the 1940s it has been use by the armed forces, including the navy, as ‘H M S Claverhouse’. 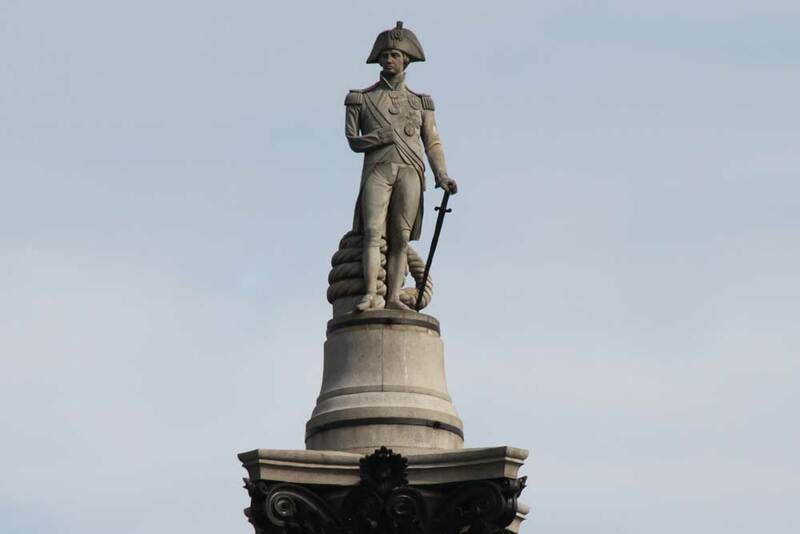 Craig did not mention one well-known use of Granton stone – for the statue of Nelson on top of Nelson’s column in London. The first idea had been for the statue to be cast in bronze, but that was found to be too expensive. 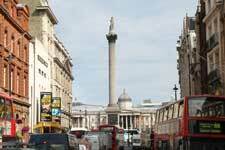 It was then decided to use Portland stone – a limestone from the south of England. 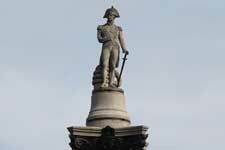 However, the statue was to be 17 feet high and it proved impossible to obtain large enough pieces of stone. The organising committee consulted their former chairman, the Duke of Buccleuch, and a sample of Granton stone was sent to London by steamer in October 1840. There were problems in getting large enough blocks out of the quarry but this was accomplished and the stone delivered in July 1842. 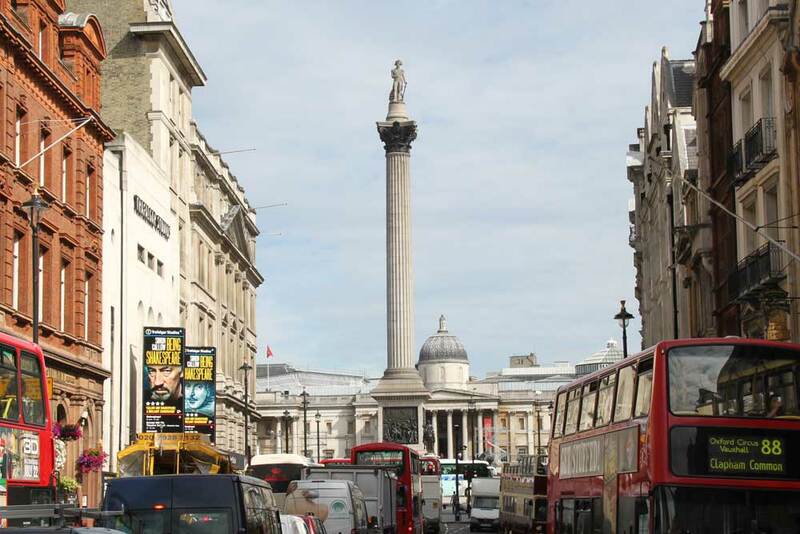 After the blocks had been carved by the sculptor, Edward Hodges Baily (1788 – 1867), they were lifted into position on top of the column on 3 November 1843. Granton Quarry came to an unfortunate end. In autumn 1855, the quarrymen had been cutting out fine sandstone at the seaward end of the quarry. 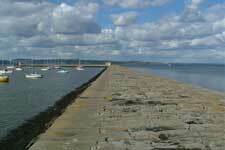 They became concerned that the sea defences might be weakened and, following a strike, were moved to another face. But, during violent storms in October that year, the water flooded in, the overseer and his family – who lived in a house next to the quarry – having a narrow escape when their home first cracked up and then fell into the water. Attempts to recover equipment from underwater were unsuccessful and the quarry was abandoned. 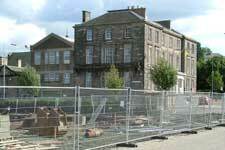 In the early 1880s it was reportedly used as a ‘lobster nursery’ by an Edinburgh fishmonger. In 1884, it became the headquarters for the Scottish Marine Station for Scientific Research. This was funded by public subscription and was not a government body. The organisation carried out research on marine life in the flooded former quarry both from a floating platform anchored by four chains and from buildings at the side of the former quarry. The Station also maintained a steam yacht, the Medusa, for work at sea, along with a fleet of small boats. The former quarry apparently silted up, and was eventually filled in. The area was then used for railway sidings for some years and on a map from 1914 it is noted that the ‘Junction of Land and Submarine Telegraphs’ was right next to its location. The site is now in industrial use but may perhaps see redevelopment along with adjacent parts of Granton during the next few years.